Much of our views of ecology and evolution largely derive from our observations of animals, fungi, and plants. But these groups are on disparate branches of the eukaryotic tree of life. In my research I am motivated to ask if what we know from the macro-organisms also applies to the microbial protists. Protists are not the simple beginnings. They are neither the proto-animals nor the proto-plants. Protists are in their own equally ancient and important clades. We normally think about tropical forests as teeming with animals and plants. What if we shrunk ourselves down to 50 microns to look around? Would we see the same patterns of biodiversity in the protists? Or would we see a few widespread species, as if they were in one giant petri dish that had been shaken? To answer this, I was funded by the German Research Foundation’s Emmy Noether Programme to form a team that aimed to expand our view of Neotropical rainforests to include a broader microbial perspective. We sampled soils in Costa Rica, Panama, and Ecuador (fig. 1). 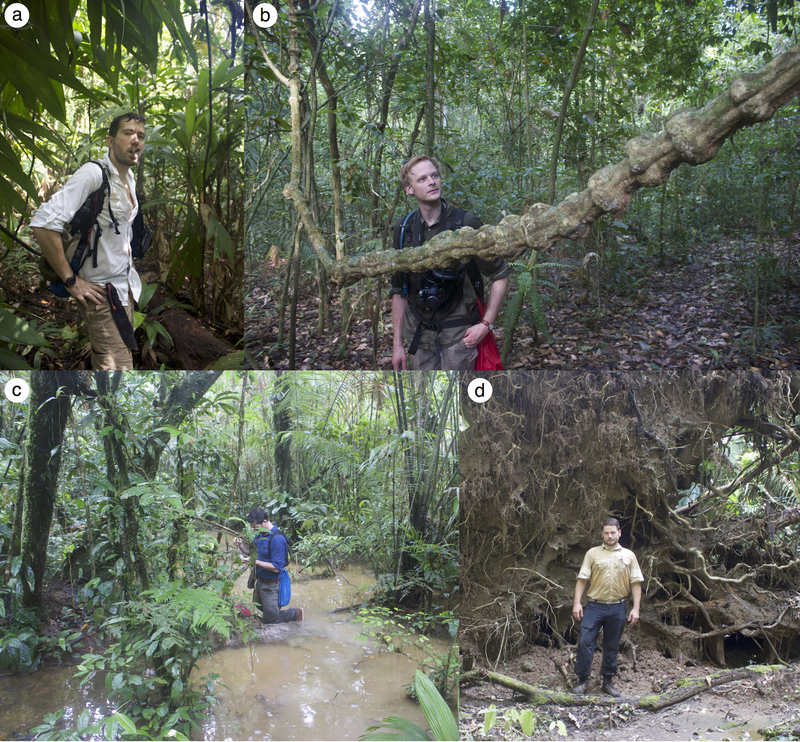 Walking through these rainforests was immensely fun, although we did not know then that we were in a paradise of parasites. Because the soils were quickly placed into buffer, we did not see any of the protists, except for the occasional plasmodial slime mold spreading over rotting wood. I did, though, spend most of my time looking at the ground to search for fallen flowers from the canopy trees and lianas. Back in the lab we sequenced >130 million DNA barcodes from the samples. 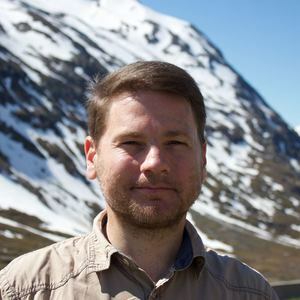 Frédéric Mahé led the analyses that showed protists to be much more diverse than macro-organisms. In comparison to a similar survey of marine plankton, tropical forests may contain a much greater and lesser-known diversity of protists than found in the sunlit surface layer of the world’s open oceans. The power to observe protists with DNA partially rests on our ability to distinguish real from spurious sequences. To do this we usually perform pairwise sequence comparisons to known species. To use the known to find the unknown, however, is not the best path to take when we know few species in a community. While sitting at an outdoor café in Oslo, Alexandros Stamatakis and I worked out the general approach to solve this by using phylogenetic placements. Lucas Czech wrote the scripts to perform these calculations and developed heattrees to visualize the results. He ran the initial analysis with all unique sequences on Leibniz Supercomputing Centre’s SuperMUC, one of the most powerful supercomputers in the world. This method to identify species in environmental sequencing studies is now being implemented in the international UniEuk initiative that aims to build a universal taxonomic framework for eukaryotes (especially the protists) and to provide a curated, phylogenetically-informed sequence database. Fig. 1. a) Jordan Mayor at La Selva Biological Station, Costa Rica. b) Tobias Siemensmeyer at Barro Colorado Island, Panama, on his first day in a tropical forest. c) Frédéric Mahé and d) Micah Dunthorn at Tiputini Biodiversity Station, Ecuador.